A great way to learn calligraphy is by practicing writing new words. I want to help you do just that! that’s why I decided to create FREE calligraphy practice sheets where I show you five ways you can letter different words. 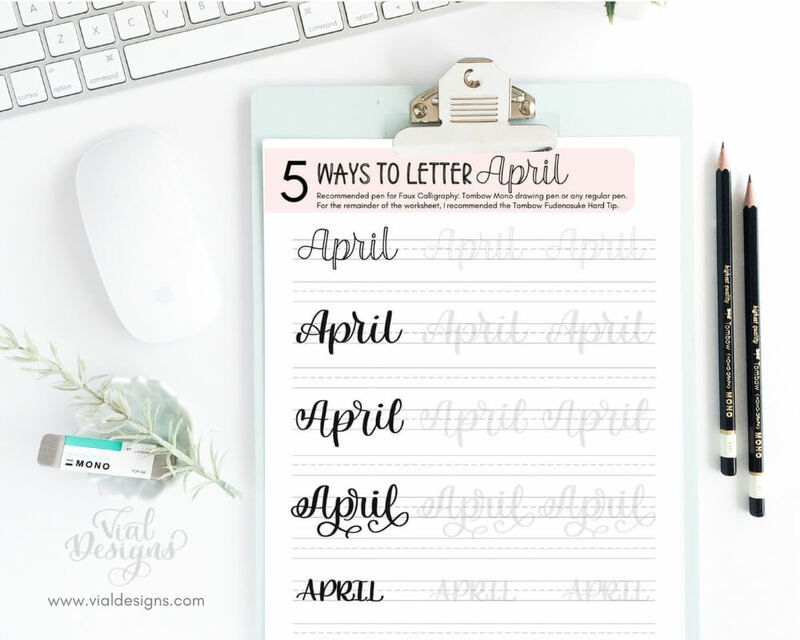 Last month, I started with the “5 ways to letter March”, and I thought it will be fun to continue practicing the months. So expect new monthly worksheets for the months to come. 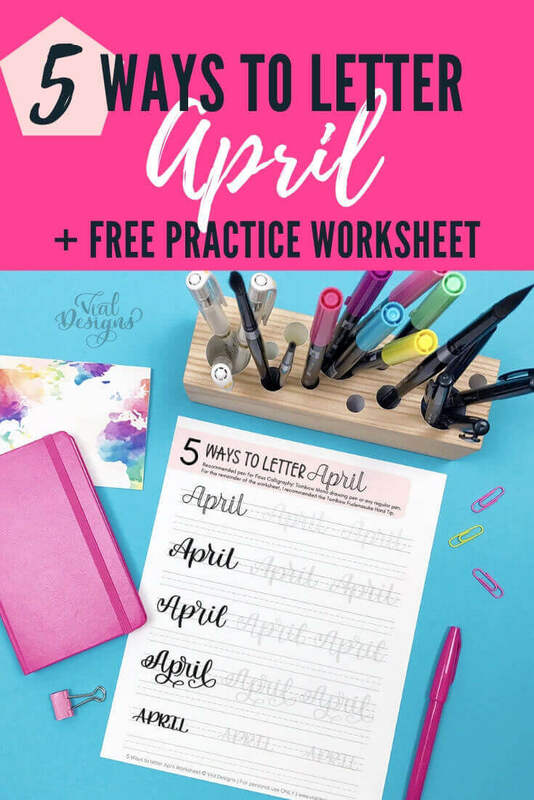 These practice worksheets will help you learn to letter and improve your calligraphy. 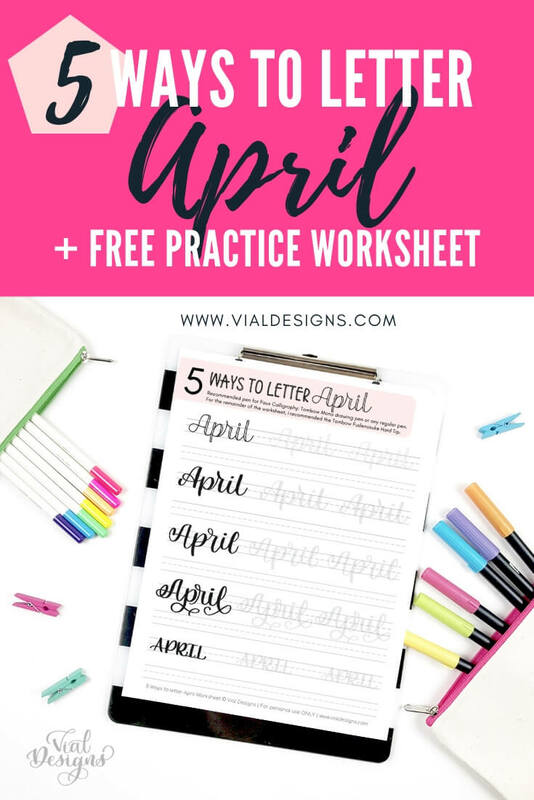 I started this series of free worksheets after I went back to the bullet journal system and I was excited to see all the ways that I can apply my calligraphy and lettering skills. The great thing is that even if you don’t have a bullet journal, you’ll still be able to apply the calligraphy skills you learn. 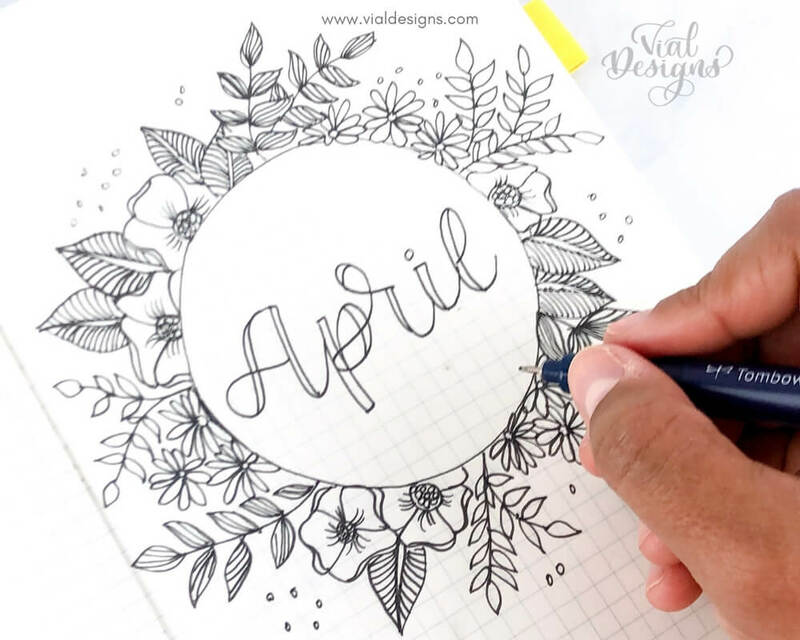 There are so many different ways you can use your calligraphy skills like for making cards, signs, journaling or simply note-taking. 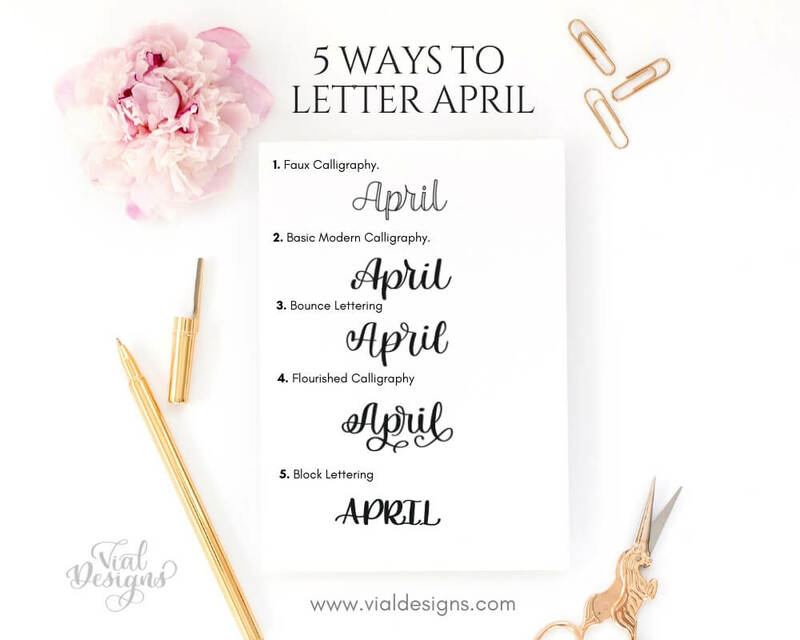 WHY LETTER APRIL IN 5 DIFFERENT WAYS? Writing the same word in different styles will not only help you practice but also find your unique calligraphy style. Each time you letter a word a different way, you can pick the letter form you like best and keep using it. Developing your calligraphy style is so important to make sure your lettering doesn’t look like anyone else. Sure, there are going to be some similarities, but you want your style to be unique. These are the 5 different styles we’ll be reviewing with each practice worksheet. Paper: I recommend is HP Premium32 Paper because if of higher quality, which is great for your brush pens. Or you can also use tracing paper and put it on to of your worksheet to practice. This way, you only need to print the sheet once and still practice several times. You can use any printer paper if you are using a regular pen. I ONLY recommend regular paper if you are doing Faux Calligraphy. Regular printer paper can shorten the life of your brush pens. Fill out the form at the bottom of this post or go to my free resource library if you already have the password to get in. Once you’re there, select the practice sheet you’d like to download. 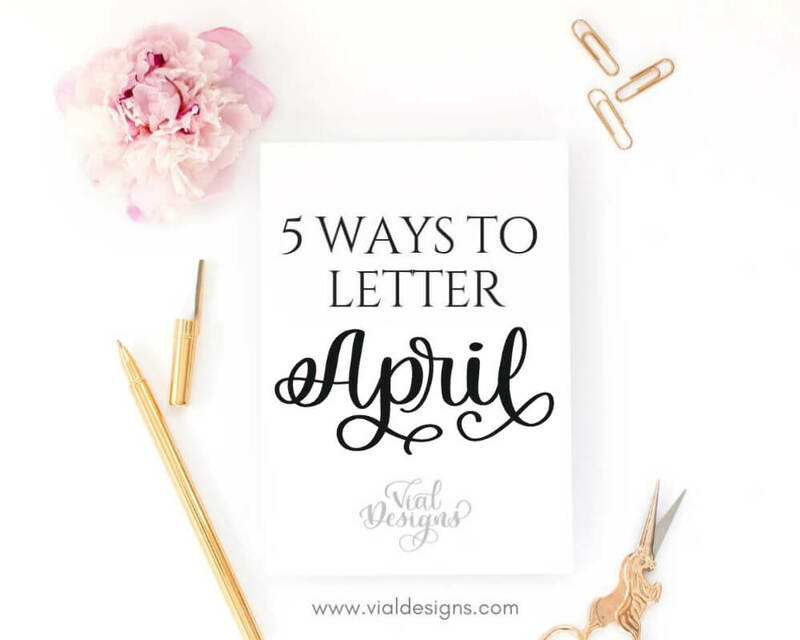 For this tutorial select the: 5 Ways to Letter April. Get access to the FREE calligraphy practice sheet shown above by filling out the form below.